Jimmyjane is pleased to announce they will be unveiling new innovations at the approaching ANME show this weekend. The company, which has been aggressively adding to its product mix, will unveil to three new lines and nine new products which are unlike anything currently on the market. Since it’s inception in 2003, Jimmyjane has aimed to create modern, approachable, body-safe pleasure products for women and couples. The three new lines demonstrate their commitment to innovating within the premium pleasure market space. One line, EVOKE, will be completely dedicated to the massage category, with a number of new products that can be used at the intersection of personal massage and pleasure. The second line called LOVE PODS will be focused on advancements in clitoral stimulation, building upon Jimmyjane’s knowledge and expertise they have gained with the best selling FORM 2. 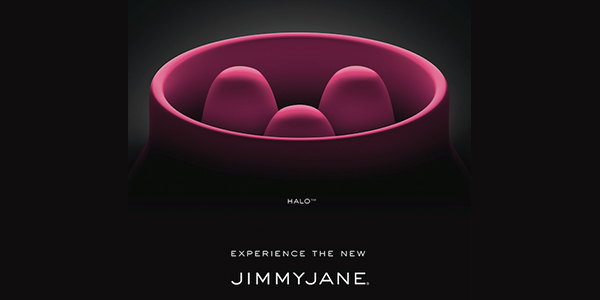 In addition to the new innovations, Jimmyjane is set to add an ergonomically designed Rabbit collection. The Rabbit collection is the result of extensive R&D from product development and the need to create a Jimmyjane answer to the top-selling category.